Valentines! After Christmas, this time of the year is my most favorite! You just can’t help but to love all the red, pink and hearts all around, right? I know my husband would prefer that I didn’t, because as soon as Christmas is put away, I start crafting away! Our house maaay just be covered in pink and glitter at this very moment. I have so many fun projects up my sleeve this month but the first on my list? To deck out my mantel. 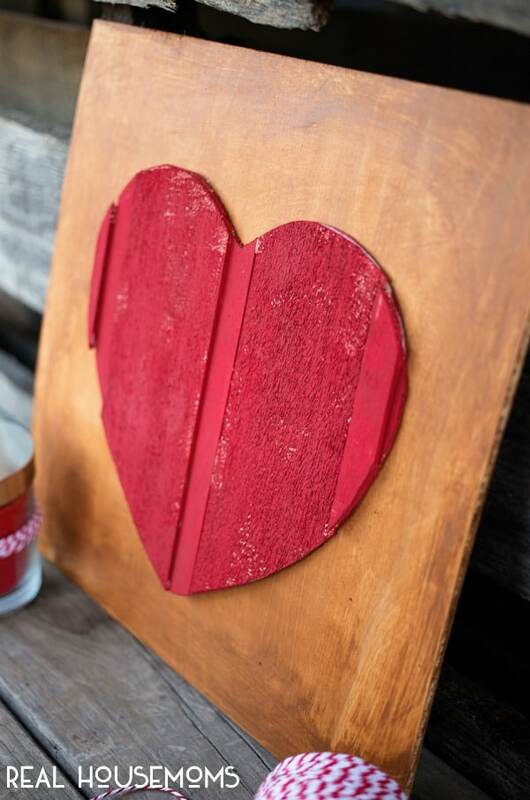 And today I’m going to show you how to create this easy DIY Wood Heart Art that would be fun to display in any area in your home! I knew that I wanted a big ‘ole heart to kick off our mantel this year, because that’s really at the “heart” of Valentine’s, right? So I pulled together a few pieces of wood to put together a little plaque with varying dimensions and textures for visual interest. Let’s go through the steps! First, I chose different sizes and textures of balsa wood sticks and laid them out in a row. I cut out a heart shape from a piece of cardstock as my “stencil” and traced the heart on to the arranged balsa sticks. 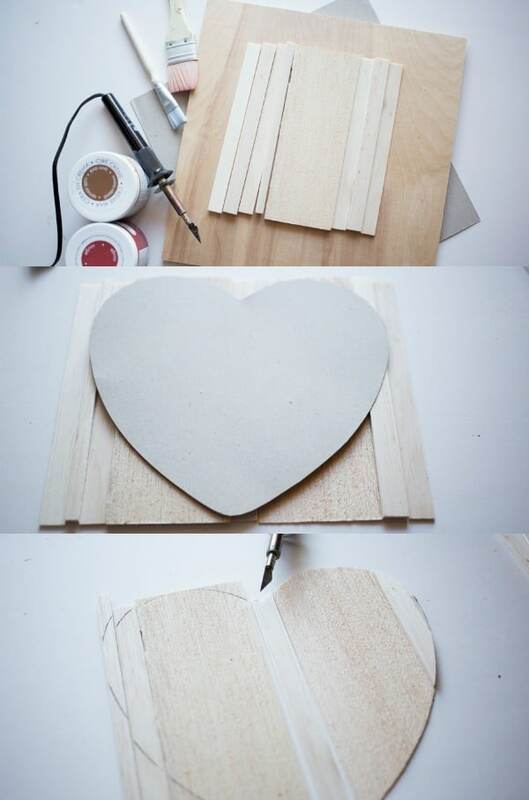 Then using a hot knife, I cut along the lines that I had traced on to to the balsa wood sticks – the result should be a cute little balsa wood heart! To make it easier to paint, I then glued the sticks right back on to my cardstock heart stencil. Once the glue was dry, I painted the balsa wood heart red. While that was drying, I used a dark wax to “stain” our square board for the background. You can really use any kind of stain you’d like on this step! 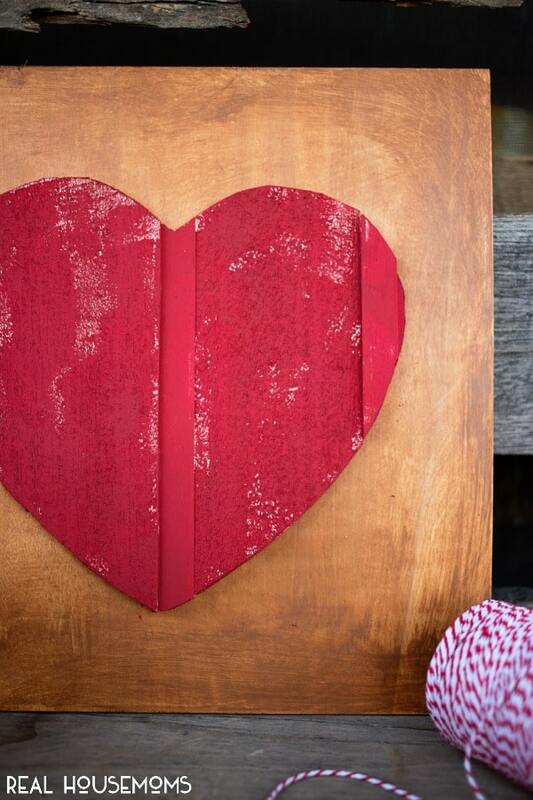 And finally when all the paint was dry, I simply glued the balsa wood heart on to the wooden square. And voila! 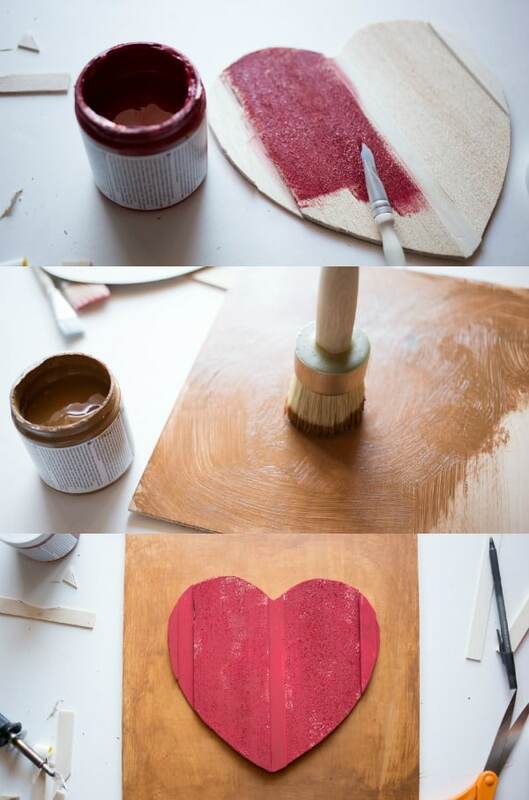 In just one fun and simple afternoon project you have perfectly sweet DIY Wood Heart Art! And I just love how it turned out. My boys even approved, so I know it was a good project. And it’s already found its spot on our mantel, now just a few more pieces and we’ll be complete! If you enjoyed this quick and easy craft, be sure to head over to A Night Owl for more! 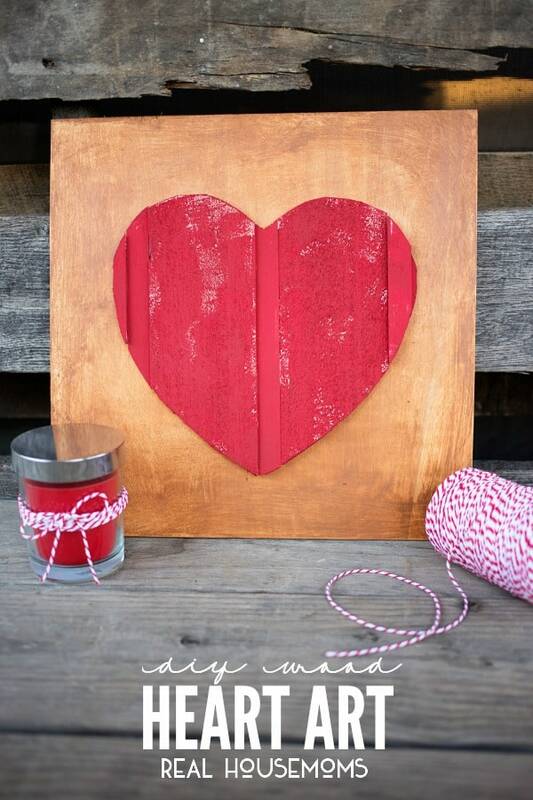 If Valentine’s Day is your thing, you’re SURE to love our Valentines Crafts and Recipes. Say hi if you drop by!